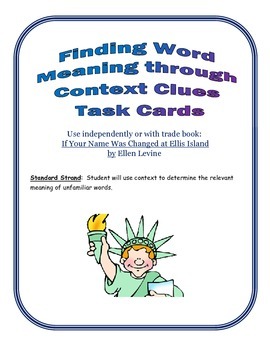 Teaching context clues is a challenge for teachers. 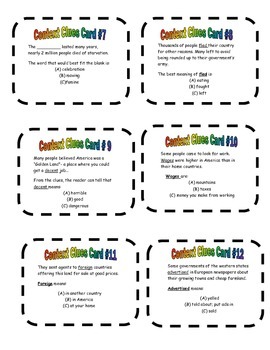 These task cards can make it fun by integrating Social Studies. 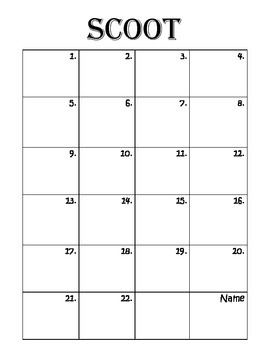 Using exerpts from the book by Ellen Levine, If Your Name Was Changed at Ellis Island, students rotate around room using a "Scoot" board to answer context clues questions. Can be used as game or in workstaions.